Situated on a ridge overlooking the Valley of the Three Forks of the Wolf River in Fentress County, a beech grove stands as a living monument to one of Tennessee’s best-loved sons, Sergeant Alvin York. He became one of America’s most celebrated military heroes for capturing 132 German soldiers in the Argonne Forest of France on October 18, 1918. Sergeant York’s remarkable feat was rewarded with more than forty Allied decorations, including the Congressional Medal of Honor and the French Croix de Guerre. He returned home a national hero and captured the hearts of the nation. On June 7, 1919, he married his long-time sweet-heart, Gracie Williams, on the family farm overlooking the Wolf River. The Governor of Tennessee, A.H. Roberts, performed the wedding in front of a crowd of hundreds, many of them traveling two days or more to witness the famous event. The ceremony was held on a series of rock ledges that formed a spacious amphitheater surrounded by large beech trees. Remnants of that original beech grove remain there today, the largest over 108 inches in girth. Many of the trees have suffered from storm damage and the ravages of time but still stand as witnesses to this historic event. 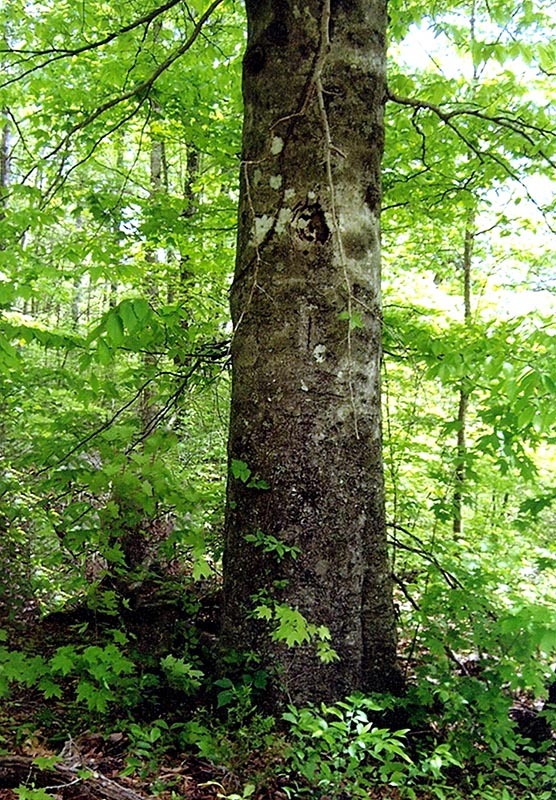 The beech grove is on family-owned property not far from the Alvin York burial site.